In Igualada Cemetery and the Archery Range, prefabrication is employed as an architectural rather than a constructive resource. The construction of Igualada Cemetery (1984-1994) and the Olympic Archery Range (1991) took place simultaneously, but at different paces. For Miralles, “The archery range is a project that develops within the project for Igualada Cemetery. Though in the two cases, time works differently”. Together, possibly along with the School in Morella, the two are the best examples of the extreme refinement of Miralles-Pinós in the treatment and the adaptation of sinuous topographies, more complex in the Cemetery and more domestic in the Archery Range. It is in the cemetery project that, again to quote Miralles, they carry out “a task of reflection on a few ideas throughout a very slow construction process. Working on a project that seems to have existed beforehand in that place; that was, somehow, already complete when the first earthworks began”. In a way, the project can be seen as a tectonic enhancement of those earthworks, almost without trying to create new forms; it sets out to write over those that already existed. Hereafter, the use of small-scale prefabrication emerges not for the purpose of rationalising construction or optimising costs, but with the intention of generating a wider architecture lexicon with a greater expressive capacity. The topography is moulded with a myriad of on-site concrete walls, gabions, reinforced earth and, around the edge, clusters of prefabricated concrete crates to house the burial niches. These clusters of niches slope backwards or forwards, and are crowned with cornices also built of prefabricated concrete and panelled with prefabricated plaques that are the gravestones. Burials thereby become a mosaic within the general mosaic of slopes. The use of prefabrication never intends to offer a quality finish (here, obviously, there are no comfort requirements), instead deliberately seeking a coarse appearance. As though it was there before the project. As though it had always formed part of the place and of the ground. The archery range somehow freezes a moment in time of the construction of the cemetery. Miralles defined it as “a project that appears and takes form in an instant. It folds, like a copy, over the conditions of the slope and the brief, trying to be an interior”. The prefabrication used here also manifests this more conclusive nature that somehow condenses the experience of the cemetery. The mosaic is generated not by combining small pieces of differing morphologies, but by texturizing a single element that is repeated with few variations. What does not change is the low-tech approach. Once the desired geometry and transparency have been achieved, the capacity for thermal insulation can take second place if it calls for more sophisticated solutions. Even watertightness can be relaxed to levels bordering on imprudence. In both projects, prefabrication is employed as an architectural rather than a constructive resource, almost as a permanent reminder that architecture and construction are not exactly the same thing, even if they are obliged to exist side by side. 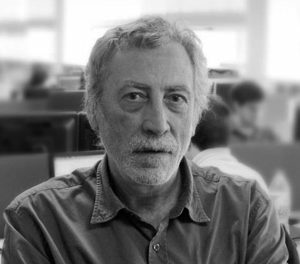 Agustí Obiol (Barcelona, 1953) is Professor of Structural Design at the School of Architecture of Barcelona (ETSAB) since 1981. He is Founder and Building Manager of BOMA INPASA SL, current BAC Engineering Consultancy Group, since 1985. He has 40 years experience in the field of structural engineering. His work is focussed in the relationship between architectural and structural design. He has had a wide experience of collaboration with leading architectural companies (Frank Gehry, Richard Rogers, David Chipperfield, Toyo Ito, and SANAA, among others). He was responsible for the structural design of a large number of projects for the Olympic Games of Barcelona 1992.